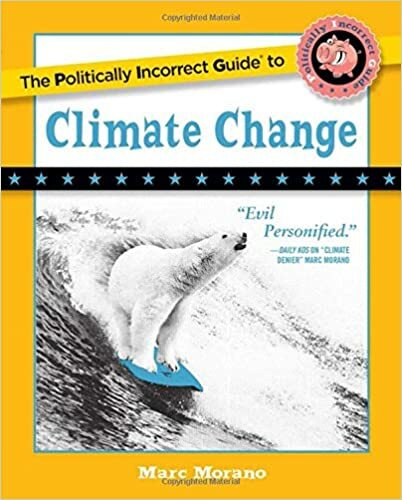 During the days following Earth Day, Rachel Carson’s venerable environmental book ‘Silent Spring’ is being currently outsold and deposed during the time of Earth Day by Morano’s new best-selling book, “The Politically Incorrect Guide to Climate Change,” from Regnery Books. Morano also presented the book to EPA chief Scott Pruitt and was featured in an 18-minutes interview on the 700 Club with Pat Robertson. The book is now back in stock and on its third printing. The book continues to rank in top 100 on all book sales at Amazon. 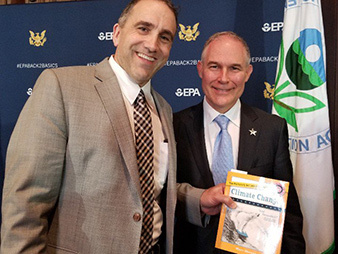 This week, book author Morano presented the book to EPA chief Scott Pruitt at EPA headquarters.